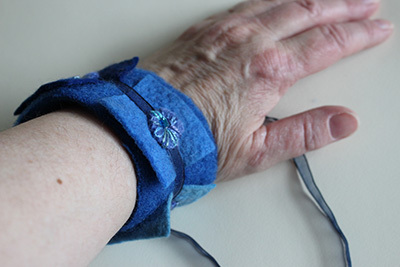 Handmade blue felt cuff. 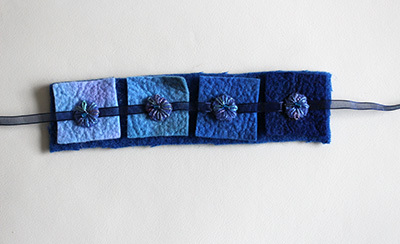 This textile bracelet is made with four blue felt squares of different tones on a background of pure felted blue wool. Each of the squares has been hand embroidered with a felt ‘flower’ having a central bead. 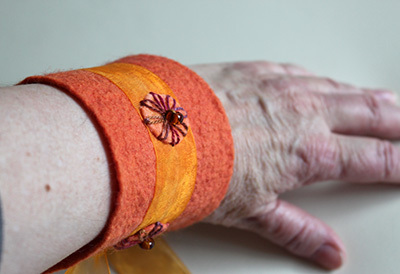 The textile jewellery piece is fastened with a ribbon that runs under the flowers. 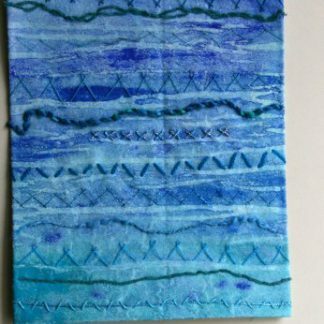 The felt and wool are all hand dyed. 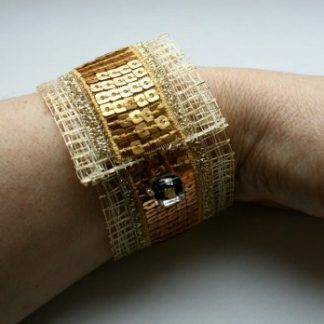 It is easy to wear and looks beautiful. It measures 22cm x 5.5cm unfastened (10 x just over 2″). 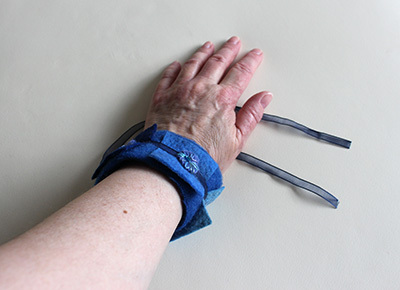 The size can be adjusted slightly by how tight or loose you tie the ribbon. The ribbon measures 78cm (31″).